1-CD with 18-page booklet, 29 tracks. Playing time approx. 77 mns. 12 What Is A Live Without Music? When colour television was introduced to Germany in August 1967, ARD celebrated this event with the'Schallplatte Gala Evening', which was broadcast live throughout Europe by the Berliner Funkausstellung. A summit meeting of superstars, because pretty much everything that has a place in international show business is represented in performers. Vivi Bach and Dietmar Schönherr will start the program with seven German premieres of Schlager. 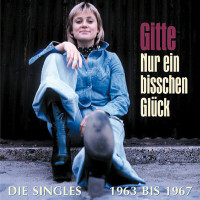 Besides Peggy March, Wencke Myhre, Rex Gildo, Peter Beil, Nina Lizell and Vicky, Gitte, who has also been successful in the German entertainment scene for years, presents the title Liebe ist doch kein Ringelreih'n. Lyrically seen a song of praise for virtue, loyalty and togetherness the song does not actually represent the spirit of the time, because in the rather rebelliously ending sixties a certain freedom of movement already indicated itself, which developed from a protest attitude against the establishment. Despite the conservative basic statement of the Gitte Schlager, the loosely formulated rhymes, which are based on the modern colloquial language, lead to objections among those responsible at ARD, and so the Dane makes a slightly modified text version heard in the programme. Instead of'kissing' she has to sing'kissing', for example. However, there is the uncensored version on the record and it entered the charts on September 30, 1967, is quoted for five weeks and rises to number 25. 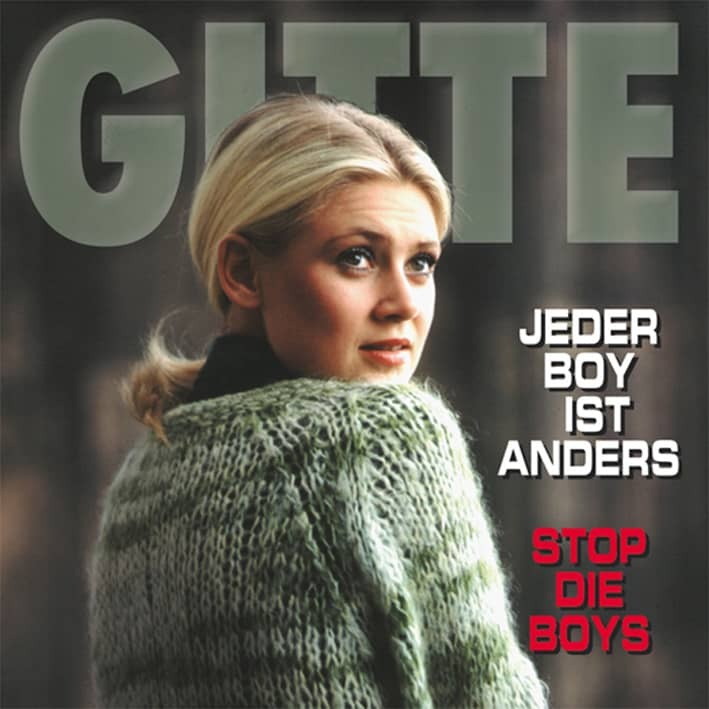 The song is an outtake from the long-playing record'Jeder Boy ist anders'. 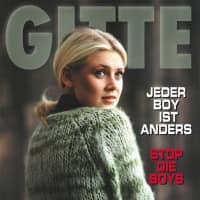 Thus the singer from Copenhagen delivers a kind of concept album under the motto'A Boy Party with Gitte'. Almost all titles are a little above the usual assembly line products of that time, are imaginatively arranged and carefully produced. Gittes sensitive interpretation gives them the right polish. Sometimes carefree, sometimes cheerful, sometimes cheeky and coquettish, then again with a hint of sadness she already knew how to conjure up moods back then. The attempt to meet the entertainment needs of a mass audience without neglecting certain artistic demands proves commercially successful, and a year later another album is released,'Stop the Boys', which thematically follows on from its predecessor. This time again, everything revolves around boys, love and relationship boxes. The positive response confirms Gitte's commitment to quality. She tries to loosen the restricting corset into which she was musically forced. And so you soon experience her swinging at Horst Jankowski's side. First she appears in his TV show'Sing mit Horst'. This results in intensive cooperation. It is not only their common love for jazz that unites them. 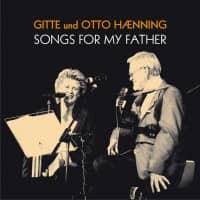 How well the two harmonise with each other can be seen for itself by the TV audience in 1968 in the 30-minute show'Gitte & Horst'. 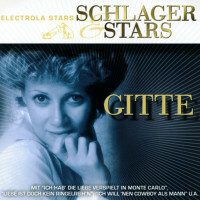 Although Gitte continues to be successful with her hits, she separates from her producer Kurt Feltz. A resulting record break is bridged by other activities. In 1971, for example, she appeared in an episode of the crime series'Tatort' in which she took on the role of a friend of the customs investigator Kressin. Only when she narrowly won the German preliminary round of the Grand Prix with the Eric Thöner composition Junger Tag on March 21, 1973 did she make a comeback on the charts. At the Eurovision Festival in Luxembourg, however, it was only enough for eighth place: "I had hoped for third place, firmly counted on fifth. But there's nothing you can do about it. The jury has certainly judged fairly and objectively," she comments afterwards with diplomatic skill on her performance. 1974 she marries Jo Geissler, who also becomes her manager. In the same year she was able to land a bestseller in Monte Carlo with Ich hab die Liebe verspielt and was awarded the'Golden Lion' by Radio Luxemburg and the'Golden Europe' by Saarländischer Rundfunk. She is now one of the top stars again and although the success story continues, she moves from Electrola to RCA in 1976. While she can still be heard on her single releases with hitsome material, there are already signs of a reorientation on her long-playing records. "There are a lot of contrasts and titles with which I am hardly known in Germany", she says, for example, when the album'Was wäre ich ohne dich' is released. With performances at jazz concerts, she succeeds time and again in building a bridge between pop and hit on the one hand and the music on which her heart still hangs, on the other. 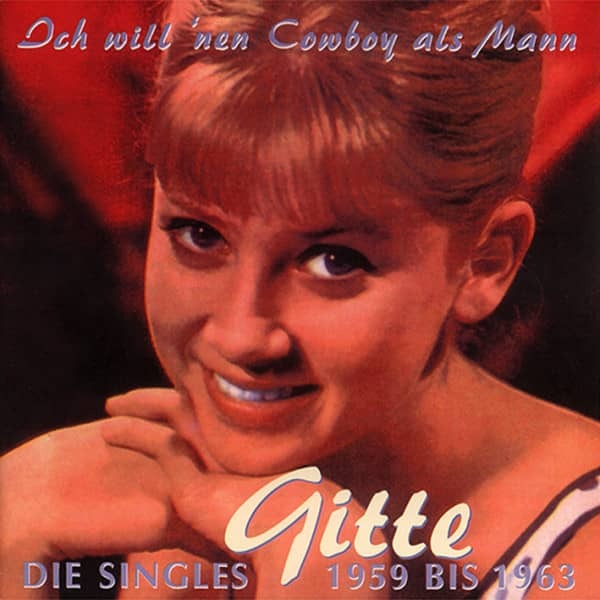 Customer evaluation for "Ich will 'nen Cowboy als Mann! Singles'59-63"